Those working in the fashion industry may give little thought to the labels they use in their designs, but these can actually have more of an impact on how clothing is received than one might imagine. A small yet significant element of the overall product, they can really reflect the ethos and aesthetic of the business they represent, helping to enhance the brand and influence its reception. 1: They can help to set your brand apart Labels contribute to the overall appearance of a product, and when they’re carefully crafted to look attractive, they help to catch the attention of consumers. They’re far more likely to take a peek inside a garment and remember the name of your brand if your label is eye-catching enough to grab their focus. 2: They can help to create a more sophisticated aesthetic Woven labels that have been crafted with care offer the additional boon of helping to create a more sophisticated aesthetic for designer businesses, complementing the overall elegance and exceptional quality of such clothing. 3: The right label will be uniquely you Woven labels that have been designed to your brief will have been crafted with your specific brand in mind. Tailor-made, they will be a perfect and positive reflection on your company. Wondering what labels would work best for your garments? 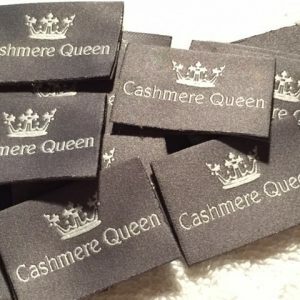 Woven labels for designer clothing businesses are hugely important. Contact us at Perfect-Labels-Lanyards, our design team will help to offer the best weaving solution to achieve an impressive end-result of your brand design fabric label. 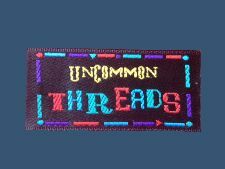 We are a woven labels UK supplier with a wealth of experience providing custom woven labels with no minimum amount. Contact us today, our contact details are here. We have a wide range of branding labels for clothing.